Fiji Airways, Fiji’s National Airline, has completed installation of over 4,000 ultrahigh-frequency, radio frequency identification tags throughout its fleet of 15 aircraft. One of the first of the Oceanian airlines to utilise RFID, Fiji Airways has taken a keen interest in being an early adopter of customer-centric technology since 2013. 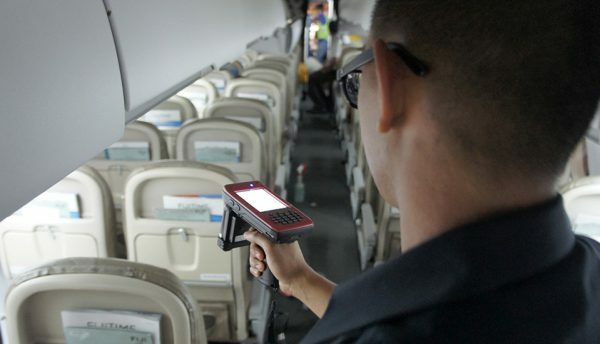 Fiji Airways is integrating RFID to improve in-cabin inspections for onboard emergency equipment such as life vests, life rafts, oxygen bottles, fire extinguishers, extension seat belts, earmuffs, flashlights, survival kits as well as oxygen generators across the A330, B737, ATR, and Twin Otter fleet. 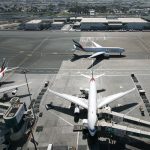 The Dubai office of EAM RFID Solutions, a division of EAM Worldwide, is leading the Fiji Airways implementation. 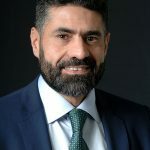 “Fiji Airways has been an existing client of EAM Worldwide’s safety and survival equipment for years, so we are able to work closely to create a tailor-made solution based on their requirements and procedures,” stated Marco Andreacchio, Senior Project Manager at EAM RFID Solutions. Fiji Airways has been using EAM Worldwide life vests for over 10 years. EAM Worldwide is one of the first to embed RFID tags, leading the market with in-vest implementation since 2009. To continue with the RFID programme, Fiji Airways and EAM RFID Solutions intend to deploy a wider Cyber Physical System by tagging other items including seat covers and seeking to advance opportunities with additional system integration with Engineering maintenance system AMOS. Founded in 1951, Fiji Airways Group comprises of Fiji Airways, Fiji’s National Airline and its subsidiaries: Fiji Link, its domestic and regional carrier, Pacific Call Comm, and a stake in the Sofitel Fiji Resort and Spa. EAM RFID Solutions is a leading RFID solution providers for airlines, aircraft operators, and MRO facilities. EAM RFID Solutions a division of EAM Worldwide offers end-to-end suite of software and business solutions specifically designed for tracking aircraft parts across the aviation supply chain. EAM Worldwide is one of the first to embed RFID tags, leading the market with in-vest implementation since 2009.